Did you know I can make photo jewelry? I can turn your portraits into wearable jewelry. If you want to see the pages on my parent site Metal Design here is the link. All jewelry is made to order. I will need to see what I have in stock and what is available before you purchase. Please inquire within if you are interested. 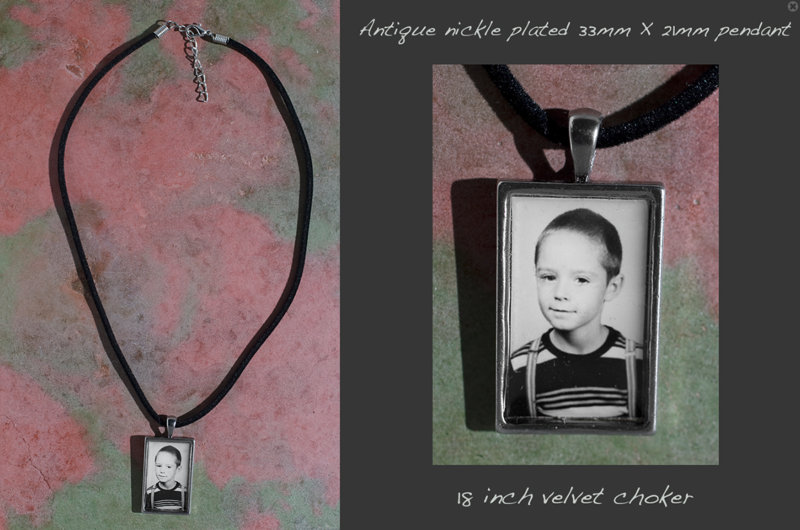 Photo jewelry is usually made with antiqued pewter, silver plated pewter or solid silver. There are also copper and other items available. I can make you any style chain and to any length. The photo is put in the charm and cover with a doming resin. 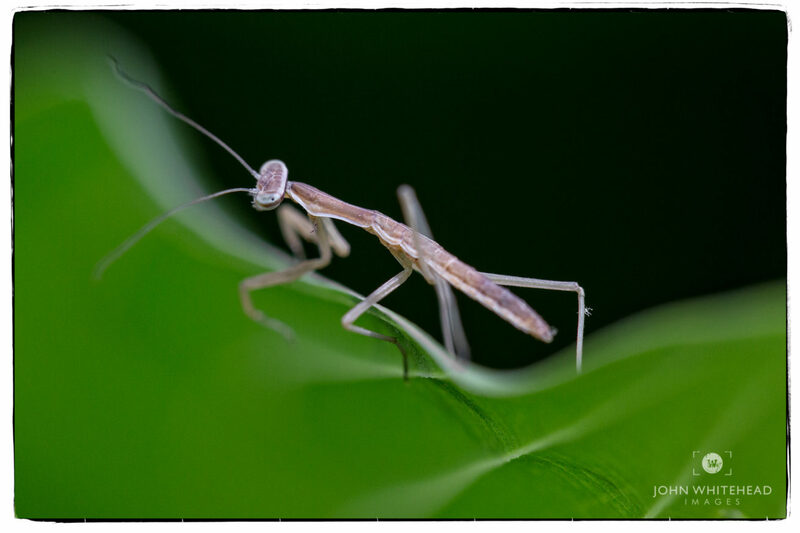 I saw my neighbor had taken to some photographs of baby praying mantis. I contacted her to see if they were still around. 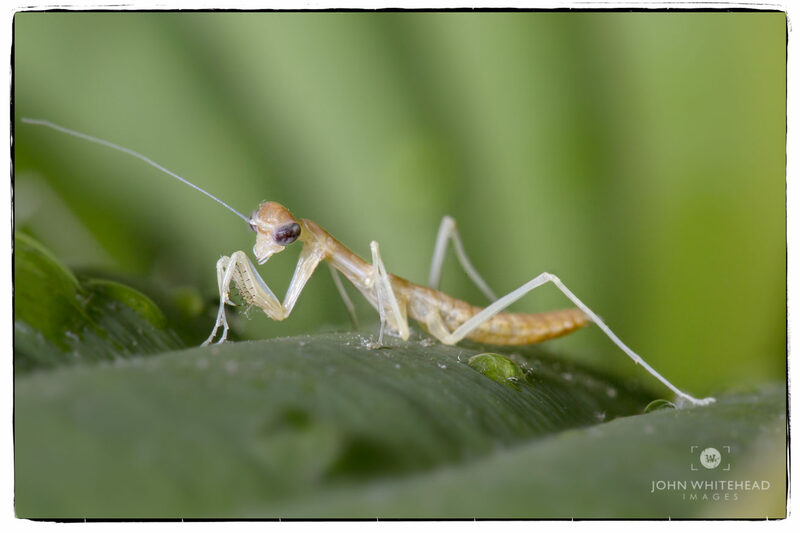 She had tons of them on some hosta plants but they were very small and were constantly moving. I was unable to use a tripod and couldn’t hold my camera still enough to take a photo. Of all the image I got one in focus. 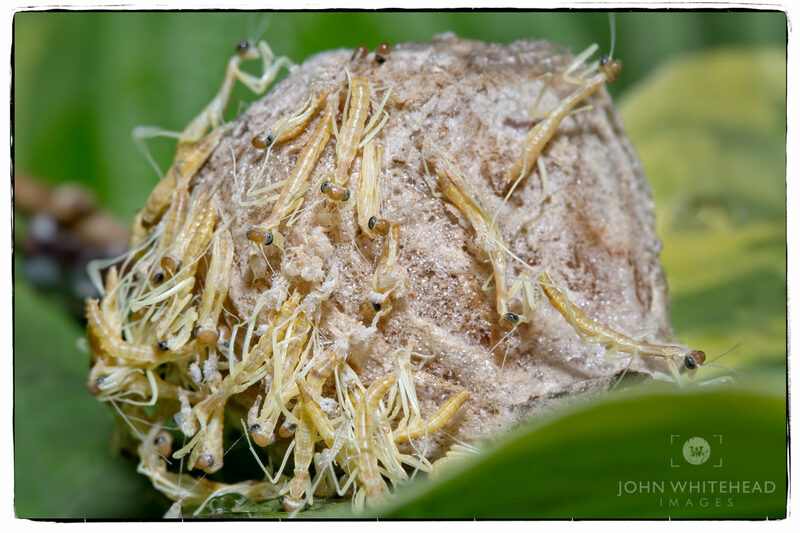 The next morning I received a call the pod or whatever you call it was hatching. I drove over again. It was amazing! I had never seen anything like this before. Hundreds of baby praying mantis crawling out of this cocoon like ball. The light was overcast and I didn’t have enough depth of field to photograph such a small object. Luckily, I had a shoot the day before and left my strobes in my car. 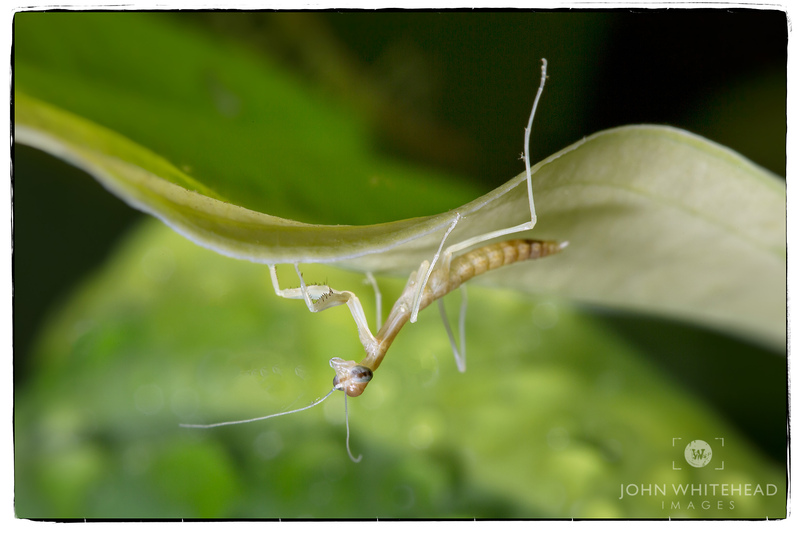 Here are a few of the image I shot.